MacFarlane calls the opportunity "an overwhelming privilege." Seth MacFarlane is set to host the Oscars. 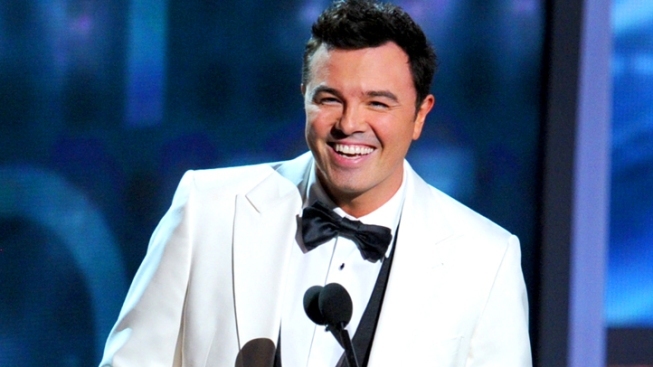 "Family Guy" creator Seth MacFarlane will host the 2013 Oscars ceremony in Los Angeles. First-time Academy Awards producers Craig Zadan and Neil Meron made the announcement Monday. Zadan and Meron said they're "thrilled" about their choice. "His performing skills blend perfectly with our ideas for making the show entertaining and fresh," the producers said in a statement. MacFarlane is best known for his envelope-pushing animated TV shows "Family Guy" and "American Dad." He made his big-screen directorial debut earlier this year with "Ted," which took in more than $420 million at the box office. The 38-year-old entertainer also hosted the season opener of "Saturday Night Live" last month and released an album of big-band tunes from the 1940s and '50s last year. This is his first time hosting the Academy Awards. MacFarlane called the opportunity "an overwhelming privilege." "My thoughts upon hearing the news were, one, I will do my utmost to live up to the high standards set forth by my predecessors; and two, I hope they don't find out I hosted the Charlie Sheen Roast," he said Monday. He also released a video on You Tube in which he reveals his "big news" to his father. In the minute-long clip, MacFarlane says he's been asked to host the Oscars, and his dad responds by offering him some "barely used" bathing suits. "I've invited you here today to tell you I'm hosting the Oscars," MacFarlane says. "This should be huge news to you." "Of course, it's wonderful news," his dad replies. "But also the fact that you're getting almost brand-new bathing suits is also good news." When MacFarlane seems unappreciative, dad snatches back the swimsuits and says, "I'm going to give these to Billy Crystal." Crystal returned last year to host the show for the ninth time as a last minute replacement for Eddie Murphy. Murphy left the show when his collaborator Brett Ratner stepped aside as Oscars producer in the wake of an uproar over Ratner's comments about women on "The Howard Stern Show" and over the use of a gay slur. Two years ago, Anne Hathaway and James Franco teamed up to host Hollywood's biggest night. Their selection was supposed to bring in younger viewers to the award show's telecast but failed to make inroads, according to reports. Nominations for the 85th annual Oscars will be announced on Jan. 10 — nearly a week earlier than typically revealed and coming ahead of the Golden Globe Awards. 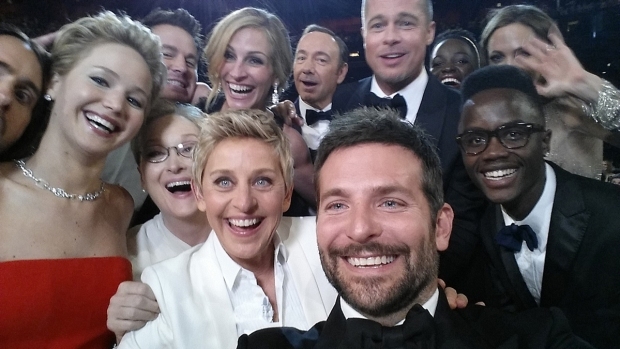 The Oscars will be presented Feb. 24 at the Dolby Theatre at Hollywood & Highland Center in Los Angeles.